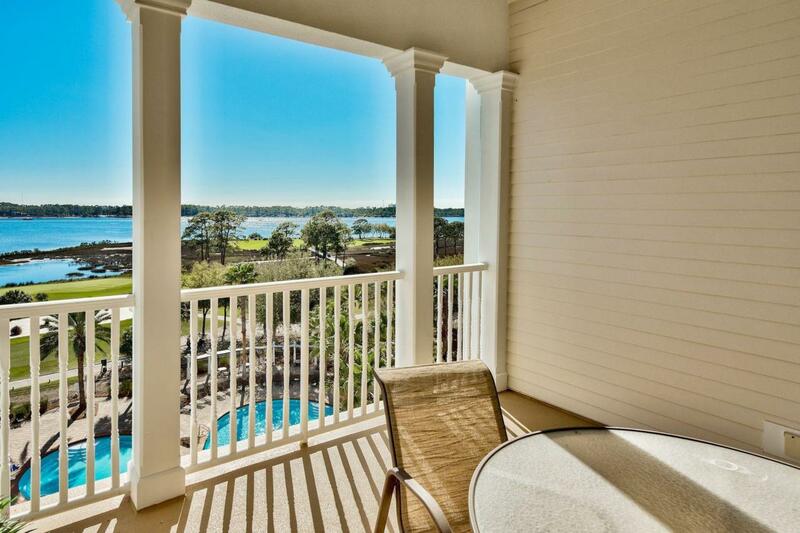 Luxury Condo on Bay Point for Vacations and Rental Stream. 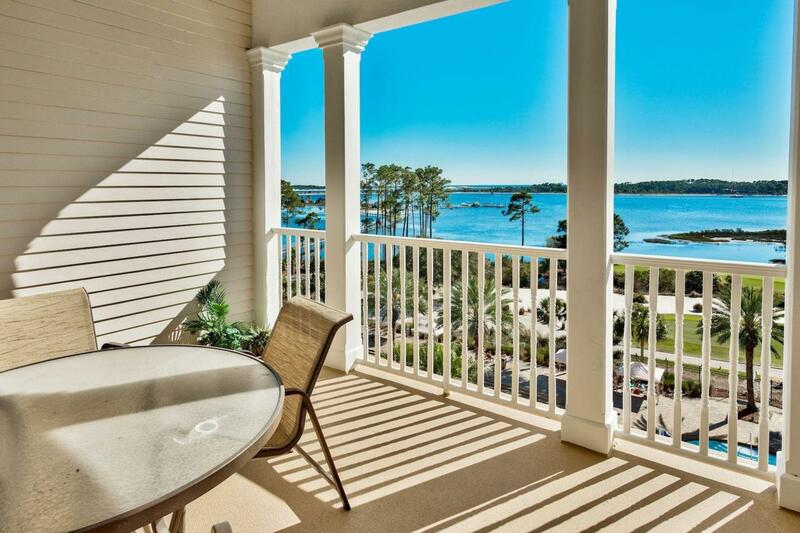 On a charming peninsula stretching into Saint Andrews Bay, this 2-BR, 2-BA condo awaits new homeowners to love it, use it, rent it and enjoy having it. Built only 10 years ago, the unit features lovely granite countertops in the kitchen and bathrooms, as well as classy black kitchen appliances and natural wood cupboards with matching black hardware. The breakfast counter is adjacent to the dining area, which flows seamlessly into a nice living room with a reality water view. Picture windows with white trim frame the outdoor bay and landscape. The living room and master bedroom open directly to the outdoor covered balcony, a perfect coffee, wine or conversation fresh-air spot overlooking bay water and palm trees. Crown molding,panel doors, tile floors in main spaces and soft carpet in bedrooms, along with a generously-sized, glass, walk-in shower contribute to an elegant, beach, golf, Florida lifestyle. Conveniences like a flat-screen television in each bedroom and a washer-dryer in the condo make life relaxed. 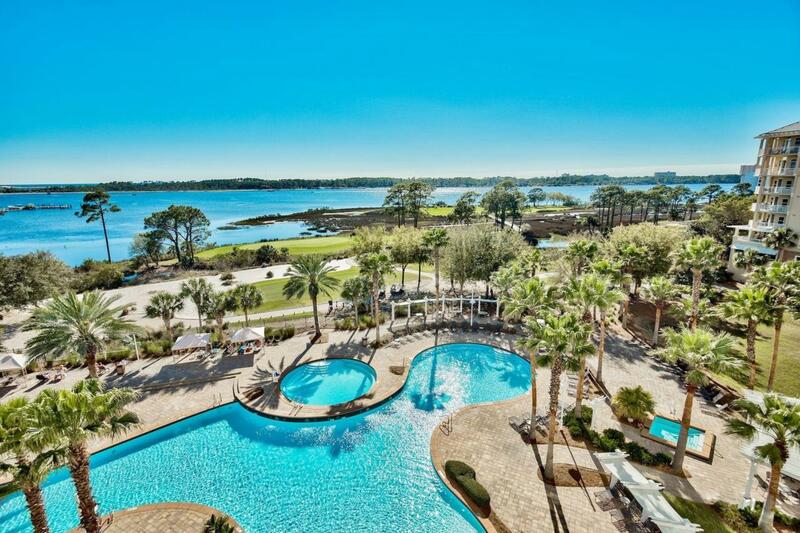 Reflections at Bay Point offers a stunning swimming pool, fitness center, receptionist, golf, on site spa and fine dining options. 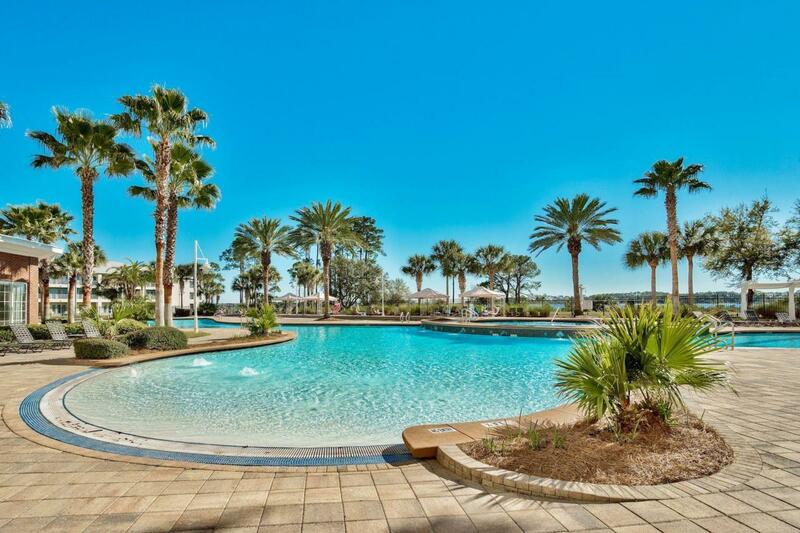 A resort atmosphere permeates everywhere around this immaculately-maintained and professionally-designed condo vacation and rental community.